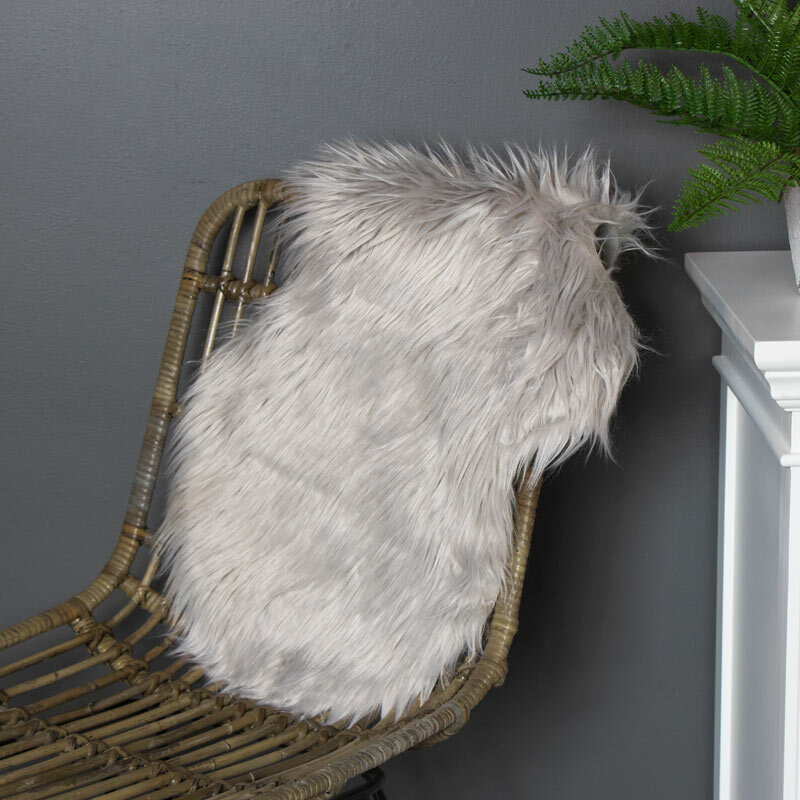 Faux fur rugs and throws are a great way to accessorise your home and add some comfort and warmth. This rug comes in a pale grey full great Scandi style that easily fits in with most decors. Whether used on the floor or draped across a sofa or bed this rug/throw will add some luxurious comfort to your home. The grey colour adds neutral tones that will fit in with most interiors. With even more rugs and throws to choose from in a great choice of sizes and colours, you're sure to find the right one for you. Faux fur rugs and throws are a great way to accessorise your home and add some comfort and warmth. This rug comes in a pale grey full great Scandi style that easily fits in with most decors. Whether used on the floor or draped across a sofa or bed this rug/throw will add some luxurious comfort to your home. The grey colour adds neutral tones that will fit in with most interiors. With even more rugs and throws to choose from in a great choice of sizes and colours, you're sure to find the right one for you. 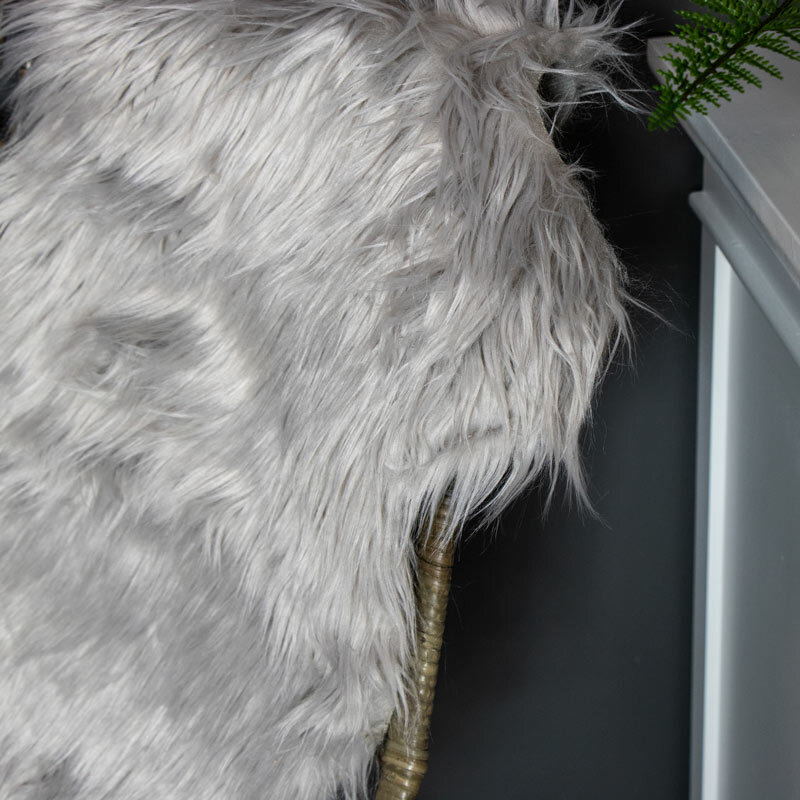 Faux fur design made from acrylic with a realistic look in a pale grey colour.